We’re coming up on the busiest season for applying for college scholarships, which means if you have a son or daughter heading to college in the fall, now’s the time to start pestering them to apply for scholarships. That way tuition won’t break your bank — or theirs — when it’s time to start paying off student loans at graduation time. As we all know, not all teenagers are overly reliable, and you may want to move the process along by providing a little assistance. Here are five ways you can help! Make sure they get started NOW. Your son or daughter should begin their scholarship research early, even as early as sophomore or junior year of high school. There are a lot of scholarships out there for high school students of all levels, though scholarship money isn’t usually distributed until the end of a student’s senior year. Plus, if you’ve got an academic all-star on your hands, many of the most prestigious scholarships require months of preparation, extra projects or in-depth essays, which means getting started as early as possible. Of course, if your child is in his or her senior year, or even in college already, there’s certainly still time to score all sorts of scholarships. Have them search for scholarships the old-fashioned way. It’s important to move beyond the web and do some scholarship searching the old-fashioned way. Check in with the counseling office or career center at your son or daughter’s high school to see what opportunities are available at a local level. Most likely, many of these scholarships won’t turn up in online scholarship search engines. Work together and get organized by making a list. When you land on possible worthwhile scholarship opportunities, make sure you keep track of them. List the scholarships you’ve already found and for which your student is likely to be eligible, and make note of deadlines. Include the name of the sponsoring organization and the address. 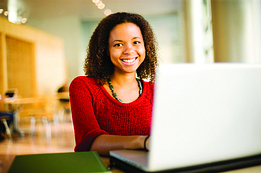 Bookmark the websites or write down offline resources for these scholarship opportunities so you can refer back to eligibility criteria and application requirements, such as letters of recommendation, essays, transcripts and FAFSA information. If your child has already decided on his or her dream school, search for available scholarship opportunities on the college or university’s website, or call the financial aid office, which might be able to suggest local and institutional scholarship sources. Start pestering. Though researching scholarship opportunities for your son or daughter is perfectly fine, unfortunately they’re going to have to do the rest of the heavy lifting on their own. Encourage them to get their applications turned in long before the due date, so they’re not waiting until the very last minute to apply. Scholarship applications often have a variety of requirements, including essays or projects that require careful thought. Rushing will certainly not help your student’s chances of actually winning scholarships. Help keep them on track by encouraging them to set reminders on their phone, so they know when a scholarship application is due and when they’ll need to get started. Be an extra set of eyes. Once your student has completed the scholarship application, make sure that at least one other person looks it over to ensure that all of the pieces are together and that the essay is well-thought-out and error-free. You may want to be that extra set of eyes, but a teacher, guidance counselor or friend can also serve that purpose. Above all, remember that this is your child’s future, not yours, and they are likely perfectly capable of doing the entire scholarship search on their own. Don’t feel bad about passing the buck off to them. In a few months, they’ll need to be fully-prepared for the real world. Your help is valuable, but pushing them to search and apply for scholarships on their own is a great way to give them an extra nudge.